Fantastic opportunity to own in the RC with this significant price adjustment! New Price is far below original purchase price. Stunning renovated brick & stone private estate overlooking the golf course. 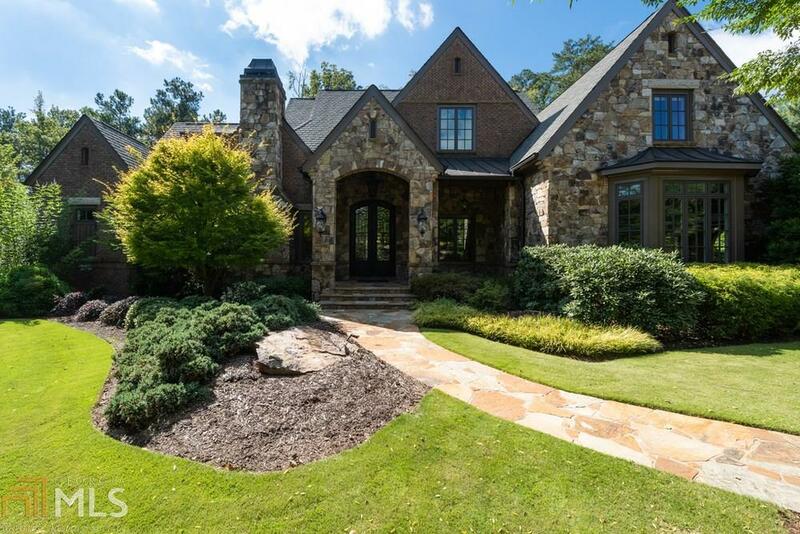 You have your choice of outdoor living spaces with a welcoming front porch, screened porch w/ fireplace with outdoor deck, 2 additional patios to enjoy morning coffee, or a refreshing beverage to end of the day while watching golfers in the back. Lg office, banquet sized dining rm, cozy conservatory, chef&apos;s kitchen, breakfast bar, huge family rm & master on main. Beautiful terrace level with game room, exercise room, family room, bar and plumbed ready area for a wine cellar. Move in ready with an updated palette that rivals any new construction. Directions: 185 To Sugarloaf Pkwy. Exit 108, Head West To Right On Ptree Ind Blvd, To Left Onto Moore Rd. Subdivision Entrance On 1 Mile Left. . Go Through Gate @ 1st Stop Sign, Turn Right. R On Middlefork Trail, R On Gunnerson Trail, R On Kettle River. House On R.